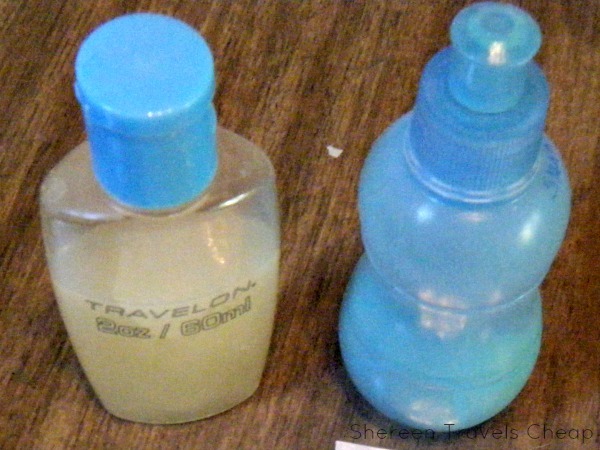 As I'm doing some last-minute packing for a trip, it occurs to me that I still pack more in my toiletry bag than I need, though I take the smallest one possible to avoid taking too much. On vacation I always think I'm going to put on a whole face and look fabulous and then I don't do any more than I do at home, and, in some cases, even less. I want to be low maintenance, but still look great. 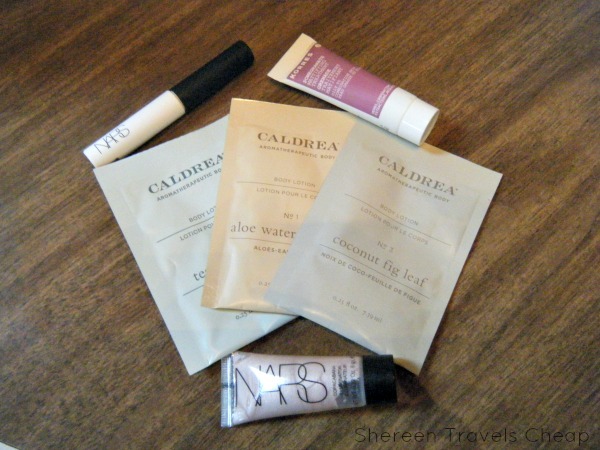 When I purchase from Sephora or anywhere else, I look for samples that I will use in the future. I have a good collection of trial size items that I can rotate into my travel bag, including powder, mascara and eye shadow. I buy smaller sizes of my foundation, or go for a powder foundation and everything else is tiny and lasts me several vacations before I need to toss and replenish. If you’re a member of ebates, you can always find great promo codes for deluxe size samples of Sephora buys. I don’t need to take a full-size product with me anywhere. I’m not moving to my destination. I decant my moisturizer, face scrub and other items I only use small amounts of into smaller containers and bring toner or facial exfoliating pads in a zip top bag to eliminate bulky packaging and avoid putting such things in my 3-1-1 bag. If you have a favorite toner, soak some cotton pads in them, toss them in a zip-top bag, squish the air out and put directly in your toiletry bag. This way it won’t spill out in your 3-1-1 and also doesn’t need to be put in that bag at all. Do you actually need those 47 products you almost never use at home? I don’t. I barely even use eyeliner when I’m at home, so I tend to only pack the basics: moisturizer, foundation, powder, blush, mascara and a tiny eyeshadow quad (which I may not use either). I’d rather use my toiletry space for things that I do use, like hair products to keep my hair from getting all frizzy or dry. Speaking of, I have invested in a great solid shampoo and conditioner, so I don’t have to waste space on liquids when I don’t have to. These work just as good as my at-home products, and no chance of spillage. If I feel like my hair needs a little extra help, then I will bring a small, extra-moisturizing liquid conditioner instead. Usually, I just pack a tiny bottle of hair oil, which you can find just about anywhere, that will de-frizz whenever I need it. That full-size shampoo that lasts you 6+ months really belongs at home. I mean, you’re going to be gone 2 weeks (or less! ), so 3oz is likely to be more than you actually need, even if two of you are sharing it. Same goes for moisturizer and other products. You can purchase smaller, reusable, containers pretty much anywhere. I like these, though you can also use a spare contact case if you need something smaller. I take this same stance on hair appliances. I have a travel-size flat-iron that will actually fit in my small toiletry bag. The one I take most often has a rounded edge, so it can be used as a curling iron, too. Don’t waste all the room in your carry-on with a full-size iron, hair dryer or other item. You can find “mini” ones that work just as well, or better, that you can keep in your bag. I typically travel with that and a folding brush, too. It makes my mornings really easy, because I don’t have to juggle a bunch of things and they don’t take up the entire bathroom sink area…if there’s even counter space for them in the first place. This is a must. 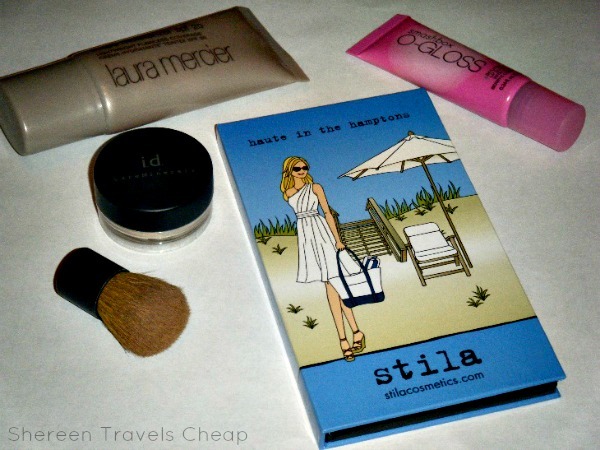 I make sure I bring items that have SPF in them, so I don’t have to bring a separate facial sunscreen. I also have a great lip and cheek stain. And I swear by philosophy bath gel, which I use as shower gel and in place of shave cream. It can also work as a shampoo or bubble bath if needed, plus they all smell heavenly. Packing light can actually help you pare down at home, because you see what you really use and what you don’t. It also allows you to be a little creative, get out of the room more quickly and care more about your actual vacation than looking like a beauty queen. 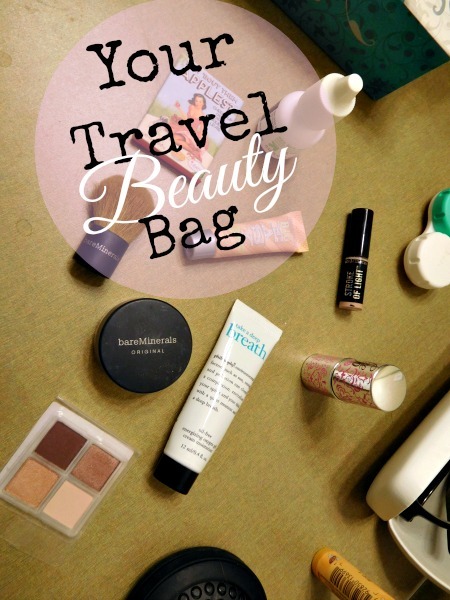 You can still look great with fewer products, and you’ll be able to pick up your travel bag. Think of all the things you can spend baggage fees on instead. 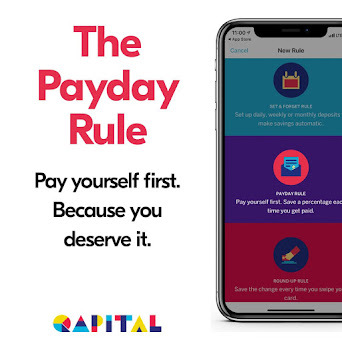 That’s an extra $25+ – each way – in your pocket. How do you pare down and/or simplify your beauty bag? Disclosure: this post contains affiliate links and making a purchase through them will result in monetary compensation. Thank you in advance.